A hundred yards along the Seine, just up from the flame memorial that marks where Princess Diana died, is a rather sober building that houses the grandly-named Sergei Rachmaninoff Russian Conservatory of Paris. This august establishment opposite the Eiffel Tower was founded in 1923, and continues to train budding musicians in French and Russian. 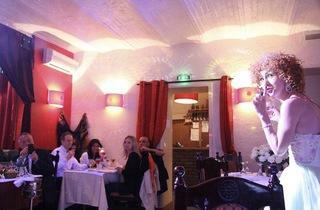 But when the school closes up for the day, a more intriguing locale, La Cantine Russe, opens up in the basement. Run by the ebullient showman George Kazarien – who acts as host, Master of Ceremonies and musician – the Cantine is a quite surreal venue for an evening's entertainment, transporting diners to a kitsch Moscow-on-the-Seine, with a non-stop cabaret of everything from traditional folk songs, operatic arias and swirling dancing accompanied by balalaikas to the latest Russian disco favourites later at night, when everyone ends up on the dancefloor. While long-legged blonde waitresses serve frozen vodka shots out of a long glass bottle replica of a Kalashnikov, you can choose from a long list of authentic Russian dishes on the menu: pirojkis stuffed with minced beef and vegetables, blinis and creamy aubergine, goloubtsy stuffed cabbage, grilled sea bream or pelmenis, traditional Russian dumplings in a consommé soup with sour cream. 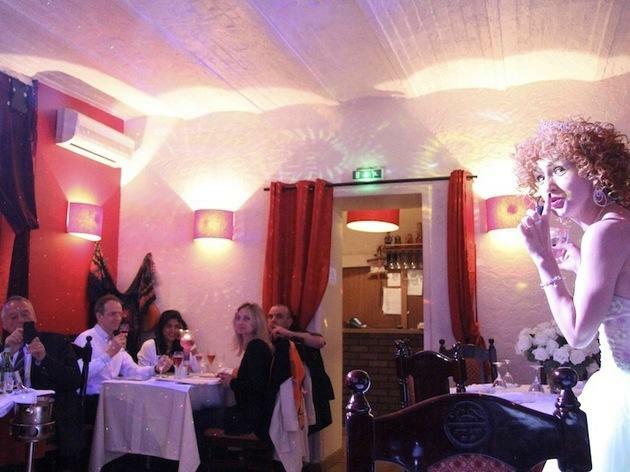 While the cabaret is free, the set menu is priced at €45, while a shot of Kalashnikov vodka will hit you for €9. In summer, the conservatory has a lovely terraced garden at the back, which the cantine takes over in the evening too. While the restaurant is open at lunchtime, frequented mainly by conservatory students and tourists, for the real experience reserve for the ‘diner-spectacle’.